I came across an article last year that concerned itself with the subject of IQ tests. While reading the piece, I noted the author’s statement that dyslexia can disappear with disappointment, particularly as it was made without the qualification that it was their opinion. While everyone is entitled to voice their own beliefs, it angered me further still that the claim was, it seems to me at least, made without any evidence whatsoever. It is often the nature of opinion pieces that they may not be backed up with hard facts, and given that such articles are merely platforms for people to express their thoughts and feelings, that’s fine. However, I felt the need to write something in the hope that people might pause for a second and give a thought to how such statements may make people who have dyslexia feel. To say dyslexia disappears does damage to a great number of people. Not only does it trivialise the struggles faced by people with dyslexia, but it also belittles the efforts made by parents, teachers and outside agencies in helping people with dyslexia realise their potential. On a related note, how can you expect an individual with dyslexia to realise their potential when it is possible that they will see no point in trying to improve their abilities if their desire to see it disappear (I use the word “possible” because not all people with dyslexia feel this way) is reinforced by external influences, such as the media as is the case in this instance? Additionally, saying that dyslexia can disappear risks wrecking the self-esteem of an individual with dyslexia as it undermines the legitimisation of the condition that can hamper so many. By trying to undermine dyslexia, there is a real possibility that comments such as the one that was made will reiterate the mistaken belief that to have dyslexia makes an individual unintelligent and worthless or that it is merely an excuse to be lazy and underachieve. Not only can such remarks have an adverse effect on those who go on to internalise them, but it is also irresponsible and mean-spirited to say such things when impressionable minds could be seeing it and believing that it to be true because the author has been published, which does nothing for the public perception of the condition. Bearing in mind that I have made clear my belief that everyone should be able to express themselves, you may wonder what my issue with the aforementioned article is. All the difficulties that can potentially arise from saying dyslexia can disappear could do so as result of the author choosing to present their opinion as fact. Although this can be debated, I believe that it is wrong for the individual to not have made clear that it was merely their opinion they were voicing. Had they done this, there would be no reason for this blog as their belief would have been clear and as a result unable to be disputed as, despite the fact that many people may disagree with them, there is no harm in stating your opinion as long as people know that that is what it is. It is as a result of not doing this that the possible problems I mentioned previously could materialise for the words of the author could be taken to heart by many and have far-reaching consequences. Another example the research cites is applicants deeming it appropriate to put xs (as in kisses) at the end of their applications when applying for jobs. It was Harry’s wont to go for a run before breakfast. This is the case as wont is another word for habit, practice or custom. Similarly, although “you’re” is correct when used as a contraction of you are, the company to which the person in the above sentence is referring will belong to someone and so your would be the correct word to use here. Crucially, these are examples of two errors that would not be picked up by a spellchecker. While some young people (actually people in general) may just use text speak to be lazy (something that “wiv” is but one example of), this research makes no mention of either the benefits literacy can attribute to social media or those who have genuine difficulties with spelling, reading and writing. Given that literacy problems are such a big part of what it means to have dyslexia, it does the pupil/teacher relationship no favours when accusations of idleness are thrown about with no consideration for those that may have a significant and undeniable problem in this area through no fault of their own. By not acknowledging people with dyslexia (or those that may be struggling on undiagnosed), such research risks stigmatising faultless young people. Another error that was singled out was the difference between to, too, and two. But there is also the difference between affect and effect, practice and practise, of and off, elicit and illicit, there, their and they’re…I could go on. The point is, so much of the English language has two (or sometimes more!) words that sound the same and yet mean completely different things. Therefore, not only can people with dyslexia have great difficulty learning to read, write and spell words, but they also sometimes encounter problems learning the correct context in which to use them. The research made no allowances for simply being human either. Yes, people should proof-read what they write and not rely on spellcheckers or other people to point inaccuracies out to them, but we all make mistakes, no-one can ever be perfect. While I can understand the importance of presenting yourself in the best light when it comes to applying for jobs, why does an individual’s Facebook account have to be word perfect and grammatically sound 100% of the time? As I have stated previously, nothing is mentioned with regards to technology advancing literacy. Facebook now has a built-in spellchecker that will alert you to an error in the same way Microsoft Word does. I obviously can’t speak for everyone, but being made aware of a mistake encourages me to correct it – to ensure I am easily understood by those with whom I am conversing if nothing else. If Facebook does this, is it not a good thing? What’s happening while that’s going on? It could be anything at all; recommending great reads, finding an informative link, helping someone out with an academic quandary, offering a frustrated individual the chance to vent when things go wrong and a platform to shout from the rooftops when something great has happened. I’ve seen all these things occur as a Facebook user, probably because it is the most accessible platform to use in order to say something to people we know en masse. When this can be so much more problematic for individuals who have dyslexia, the last thing they need is for social media to be vilified. It also seems a tad convenient to blame social media – a faceless entity that can’t answer back – for falling literacy standards when it is also considered that England is the only developed nation where children are deemed to be worse at mathematics and reading than their grandparents. When such a bold and distressing claim is made, it is too simplistic to besmirch social media and not make other correlations. What about the constantly changing curriculum? A possible over-reliance on certain authors and texts? Class sizes? Teacher education and standards of teaching? In short, while social media may have its faults, it is not fair to blame it for falling literacy standards without also acknowledging all the good it does. Social media has its place in teaching literacy just as books do and there is no reason why they can’t harmoniously co-exist. In a recent blog, I stated that a disadvantage of film and television over books was that everything has already been decided for the viewer, whereas books let the reader make decisions in their own heads. However, what in one way appears to be a curse can in another way appear to be a blessing. For although the print medium can encourage people to use their imaginations and think for themselves, there are some things that only the visual form can achieve. Number one, flesh and blood people, fictitious as they are, are a lot easier to relate to than incorporeal individuals. This is where the worlds explored in television and film can be a great vehicle to motivate and inspire others. So why then, given the prevalence of dyslexia in the UK, is this not reflected more in movies or TV? For those that argue that it would be futile as it would not create the drama demanded by modern audiences and those that finance the creative industries, that’s the point: dyslexia doesn’t have to. People need to understand this en masse, whether they have it, know someone who does or even just for their own general knowledge. And film and television, far-reaching as it is, is the perfect way to demonstrate this. I’m not going to lie – CBBC’s decision to develop a television show on the Hank Zipzer series of books (about a mischievous boy who happens to have dyslexia) is a great one, if long overdue. But it would be equally problematic for this one character to become the definitive representation of young people with dyslexia. Elliott: I can’t do the words. I’m dyslexic. The Doctor: Look at that! Perfect! Dyslexia never stopped Da Vinci or Einstein, it’s not stopping you. I really like this dialogue, which takes place (in typical Doctor Who fashion), just as The Doctor, his companions and some innocent bystanders are preparing to save the Earth from a race of aliens that think of humans as vermin. Not only does it reveal that Elliott is dyslexic, but it demonstrates a way in which he can be of use in the crisis, which is later reaffirmed when disaster is averted. Although Elliott’s map didn’t single-handedly save the day, it didn’t need to. The point had been made: Dyslexia should neither stop someone from doing something, nor does it have to dictate their lives, as is illustrated in this story. However, Elliott, who only appeared in the series for two episodes, is the only example I can currently find of a dyslexic person on British television, which is odd considering how common it is in the UK. True, there is Percy Jackson from the recently released films, as well as Ryder Lynn from Glee, but neither of these characters seem particularly accessible. Percy started off life as a character in a series of fictional novels, hardly the best medium for dyslexics to access, and Glee is only available in Britain on Sky 1, meaning that less people are able to watch it now than was the case when it was first broadcast on Channel 4. Not to mention that both these examples are American, and all the examples cited are children and young people. Let me be clear. Any positive role models for dyslexics are undoubtedly a fantastic thing that needs to be encouraged. However, there is always more that can be done. I find it odd that – to my knowledge at least – there are no dyslexic adults in British soap operas given 1 in 10 people in the UK are affected by it. After all, they are supposed to represent real life, and if Doctor Who – which is as blatantly science-fiction as you can get – can do it, other television series in the UK – be it in soaps or anything else – can and should follow suit. Note: The Doctor Who episodes that the character of Elliott appeared in are called The Hungry Earth and Cold Blood. Both were written by Chris Chibnall. A story by any other structure would teach the same…. Having highlighted the importance of reading in my previous blog entry, I feel that I can safely argue the other side of the coin without being hounded. Because the sad fact is, it is more than just dyslexia that can hinder someone’s reading ability and their fondness of books. What they are forced to read, most notably in schools can also have a huge impact, which of course is even truer in the case of dyslexics given their difficulties with the act of reading. We studied five of his plays in five years in English. The inflexible layout and structure of the textbooks, which implied that the compiler could somehow already know the words that were deemed a challenge for teenagers to understand when in fact Shakespeare was far from that easy to grasp. Furthermore, the text of the plays were always laid out on the left hand side pages, while the dictionary definitions the author deemed necessary were on the right, breaking up the text so much that it was horrendously jarring. And this is coming from a non-dyslexic. I think my little anecdote demonstrates two things. 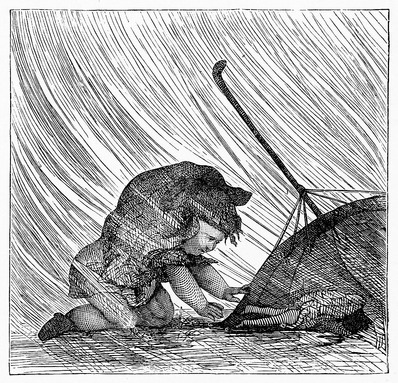 Firstly, ramming a particular author down the throat of a child only guarantees that they will hate that author forevermore. Secondly, and perhaps more importantly in the context of Dyslexia Awareness Week, teaching with a one size fits all mentality is doomed to result in complete failure, particularly when no effort is made to relate the texts and themes contained therein to the lives of students. I remember sitting watching West Side Story in a Drama class, thinking the department were scraping the barrel in terms of their film selection as the end of term was drawing near. It turns out we were going on to study Romeo and Juliet and they wanted to show us that the themes covered within it weren’t exclusive to Shakespeare and were relevant today. They succeeded, but I remember being less than thrilled about having to study another Shakespeare play. It was only after I voluntarily picked up a copy of Malorie Blackman’s Noughts and Crosses that I fully understood why the story of Romeo and Juliet is timeless. Although primarily a love story centred around a class war, it could as easily apply in a variety of circumstances as is illustrated in Blackman’s book which is set in a world where white people are treated as an inferior race compared to their black counterparts. Without giving the plot away, the comparisons between this book and Shakespeare are undeniable (without being strikingly obvious) and yet are posed in such a way that young people can relate to the story. So significant was its effect on me that it has been my favourite book since I first read it eleven years ago (despite the fact I still hate Shakespeare). Of course, I’m not saying that people don’t have to do things they don’t want to just because they are dyslexic, merely that if they are unnecessarily forced to read something they risk becoming alienated and further disengaged with reading and learning in general. And it is not as if, as I have hopefully illustrated, that key themes in books for example cannot be conveyed in a variety of ways. This Dyslexia Awareness Week one of the questions that needs to be asked is that as no two people learn something in the same way, why are countless children taught in the same way with no consideration of the adverse effects that it could possibly have on them later in life? I love to read, I do it for pleasure and there is nothing better than immersing yourself in a fictional world where you can create something really unique to your reading experiences. However, I have a tedious love, hate relationship with this pastime. I recently moved house and had to pack up all my worldly possessions, including my books. I realised just how many I have and how many I haven’t managed to read yet. Some of my books are well worn, as I have read and reread them time and time again, but there are some, where I have only managed a page or 2 before I gave up. Reading for pleasure has not always been possible and while I want to read all the classics like all the Bronte sisters’ novels, 1984 and Tarzan to name but a few, I find the complex language and structure difficult to follow and digest and sometimes feel like I am missing out. I was given sunset song as a core text for Higher English in high school and again when attempting Higher English as an open learning course, yet, I still have no idea what the book is about. Not only could I not follow the scots language that it was written in, I also had no chance of finishing it in the allotted time. So after reading it 3 times, I think it’s is about the industrial revolution… there is a chance I may be wrong! I used to be jealous of those who enjoyed reading, I, unlike many of my colleagues and classmates never wanted to read in public places. Once, when on one of my sunset song attempts a colleague questioned why I had not finished reading the book yet, (I had been reading it at work every lunchtime for 2 weeks) I felt really embarrassed and it put me off, I stopped reading my book at lunch after that. In my first job we used to have a book club of sorts, we would discuss the books we were reading at lunch and swap them when we were finished. However, after a while, when I was 4 books behind and running out of excuses, I started missing lunch with my friends as I didn’t want anyone to know how long it took me to read. I have begun to get over my fear of being judged and learned to love reading for pleasure which is becoming allot easier now I have an explanation for my slow reading pace. Nevertheless, even now I need to get into a book right away, it needs to grip my attention and not let go before I will invest the time and effort it takes for me to read it. This has led to my collection of barely touched books of which there are been many, all in a pile to read when I have spare time! Beyond Words: What does it Mean? There are many battles dyslexics face due to misconceptions about the condition. I have to confess, that before I started volunteering with Dyslexia Scotland, I was one of the probable masses of people who think that dyslexia only affects literacy. In truth, it’s so much more than that – which was what this year’s conference, that took place on Saturday, was trying to highlight. Not only does dyslexia affect short term memory, but it also hinders time management, organisation and note-taking, and that’s just me talking in the most simple and broad of terms. 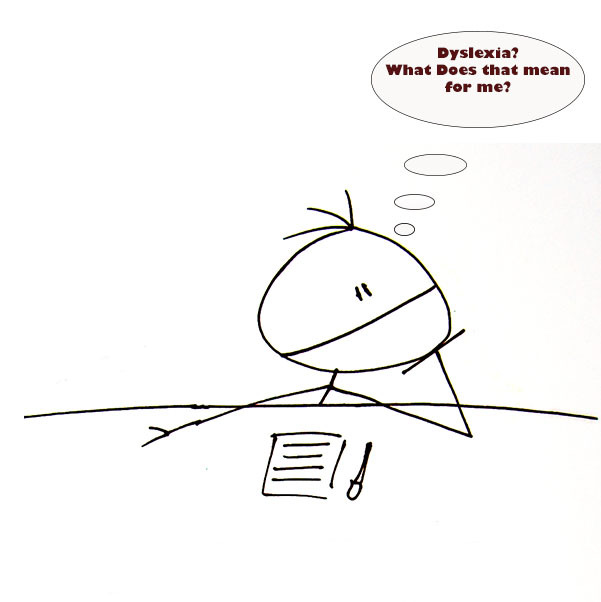 However, it’s not just the difficulties that dyslexics face that are misreported. All too often, having the disorder means that people are written off, when in fact it has been argued that because of the way the dyslexic brain works they are better than non-dyslexics at visualisation, seeing things as a whole and practical and creative tasks. So not only is the full extent of the condition obscured, but the strengths that it is believed to create go unnoticed. But it’s not even really about that. Strengths. Challenges. Ultimately just abstract words. It’s about seeing the person as a whole, for the individual they are. So when we say beyond words, that’s what we’re talking about. See the person, not merely a surmountable problem. We have been sent these wonderful poems by a very talented lady and we think they sum things up very well. We hope that you enjoy them half as much as we have. And what’s more you’ll be a Dyslexic, my child! And what’s more you are Dyslexia, my froe! Having dyslexia can be frustrating; people don’t always understand it, they make assumptions, make jokes (ok, so most of which I actually find quite funny) and there are things that take longer or more effort to do. Often, for many of us, it has negative connotations attached to it. This is especially true if you had to struggle for a long time before your difficulties were recognised. However, once you have been diagnosed/ identified everything falls into place, right? Does being given the ‘label’ dyslexic help? Often, people talk about the moment they are diagnosed as “everything falling into place” or “like a weight being lifted off their shoulders”. When I was diagnosed/ identified, it was just that, like everything falling into place, I could finally put a name to my frustrations and stop self diagnosing some of my symptoms/traits like poor short term memory or believing the negative things that had been said or implied over the years. But, a diagnosis/identification wasn’t enough! I had questions and I wanted to ‘fix’ it…. There is no fix, we all know that, but there are ways of making life easier. So, I now had to unpick my dyslexia, work out what my strengths and weaknesses were, what was actually part of my dyslexia and what was just my dizziness or clumsiness. I had to work out what were the coping strategies that were going to work for me. This is a slow process, it takes time, effort, it’s frustrating, there is a lot of trial and error and I think, you are never fully done; every day is a school day! I wasn’t diagnosed/ identified until I was in my mid 20s and as I was in further education, I got a lot of help to get me through my course and many of my techniques came from that, but it was only through working with Dyslexia Scotland 4 years after I was diagnosed/ identified that I really started to understand my dyslexia. I began to understand what it means and what is available, knowing other people who are dyslexic and how their traits differ from mine all really helped me. So what’s in a name? Well nothing really, putting a name to it isn’t the end of the story, knowing you’re dyslexic is helpful and like everything falling into place, but it is only in truly understanding your dyslexia that you can start to move on from the frustration, begin to make your dyslexia work for you. Playing to your strengths and not dwelling on your weaknesses. The ones it hurts, are those who need us the most. Following the discovery last week that 14 UK charities agreed to increase the salaries of their CEOs despite a fall in donations, charities haven’t been getting great press at the moment. It is little wonder that William Shawcross of the Charity Commission is worried that all the negative publicity surrounding this issue will adversely affect charitable organisations. However, it’s at this point that people must stop and remind themselves of all the good charities do, Dyslexia Scotland being but one of many. Let’s take Dyslexia Scotland as an example. Without our helpline there are countless people that would not be advised, how to help their children, employees, students and themselves. If the tutor service did not exist it would be more difficult for dyslexics to reach their full potential. These are just two ways in which Dyslexia Scotland endeavours to help people who really need it. We could not offer either of these services, not to mention the great number of other things we do, without proper direction. This is why the vilification of third sector CEOs in the media, as is currently happening, is terribly wrong. Instead of demonising them or tarring all those who hold that position with the same brush, consider that the very running of the organisation rests squarely on their shoulders. Whatever happens responsibility lies with them. Maybe we should think about not just the responsibilities CEOs have, but the obligations the media has to charitable organisations. Because if they take this vendetta too far, they risk charities being unable to do an awful lot of good as a result of character deformation by the media discouraging donations. Not only is this unfair on hardworking CEOs, but it also disadvantages countless people who may not receive support they desperately need due to lack of funds. If this happens, there are no winners, only losers. And the sad fact is it’s those most in need, charity service users, that risk losing out most of all through no fault of their own.